Working by intuition, relying on instinct, my process involves developing several paintings at a time, allowing me to explore many ideas that I divide by themes in series. I paint mostly with acrylic on canvas, naturally making unconscious decisions about what colors to use and how I will blend them to my satisfaction. Because I am a very much grounded person close to nature, one can find in my work, textures that resemble roots, splashes that are reminiscent of wild flowered fields and colored scrapes that suggest mineral veins. 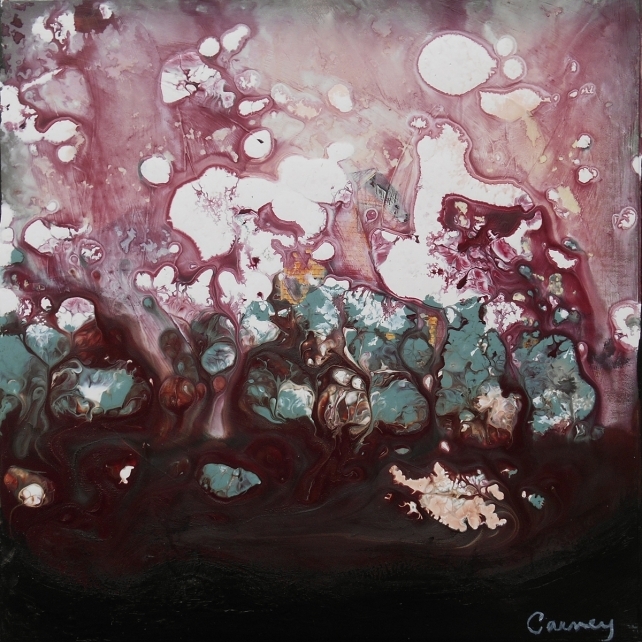 Lisa Carney is a multidisciplinary artist who was raised in an artistic family on the Gaspe Peninsula, in Quebec, Canada. She earned a degree in Visual Arts from the University of Quebec in Montreal, and has since developed technical prowess in many different artistic mediums. The artist has participated in several one-person and group exhibitions throughout Canada and the United States including those at the Musée des beaux-arts de Mont-Saint-Hilaire; Galerie La Seigneurie in the Vanier Cultural Centre, Châteauguay, Quebec; SOPA Fine Arts, Kelowna, British Columbia; and Artists Space, New York, NY. Her work is included in many private and corporate collections world-wide including the Chamber of Commerce and Industry Thérèse-de Blainville. It is on display in galleries in Quebec, Canada, in addition to those in New Jersey and Washington in the U.S. It has been accepted by Ugallery, a curated online gallery based in San Francisco, CA. 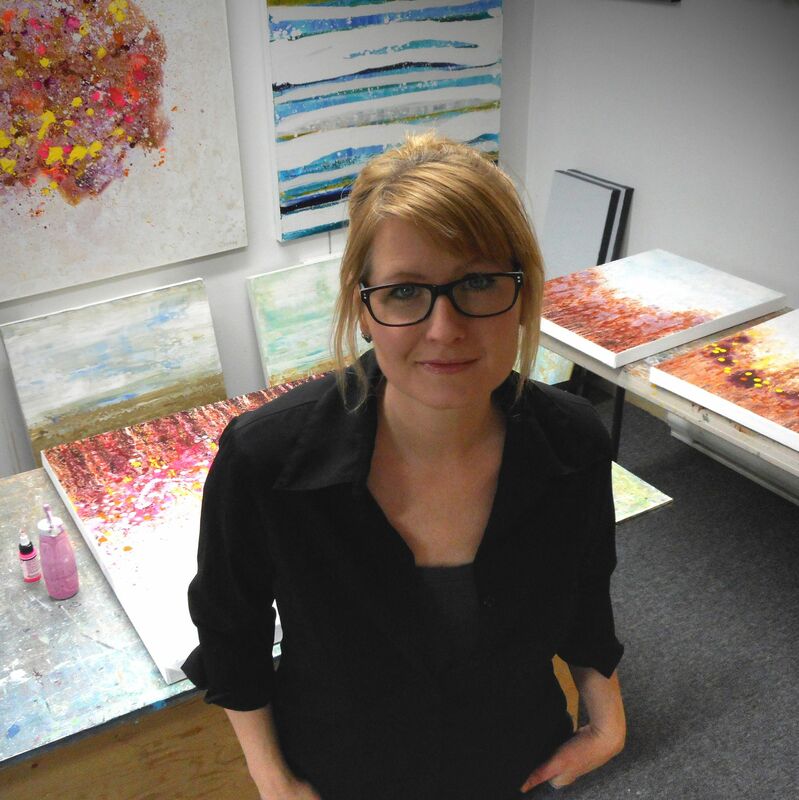 Carney and her art work has been featured in numerous publications and books including appearing on the first page of Courrier Laval. She has curated exhibitions through La Galerie Fleur-De-Lys, which she operated in Ste-Anne-Des-Plaines for three years. She is a member of several distinguished arts organizations such as Conseil de la Culture des Laurentides and RAAV (Regroupement des artistes en arts visuels du Québec).